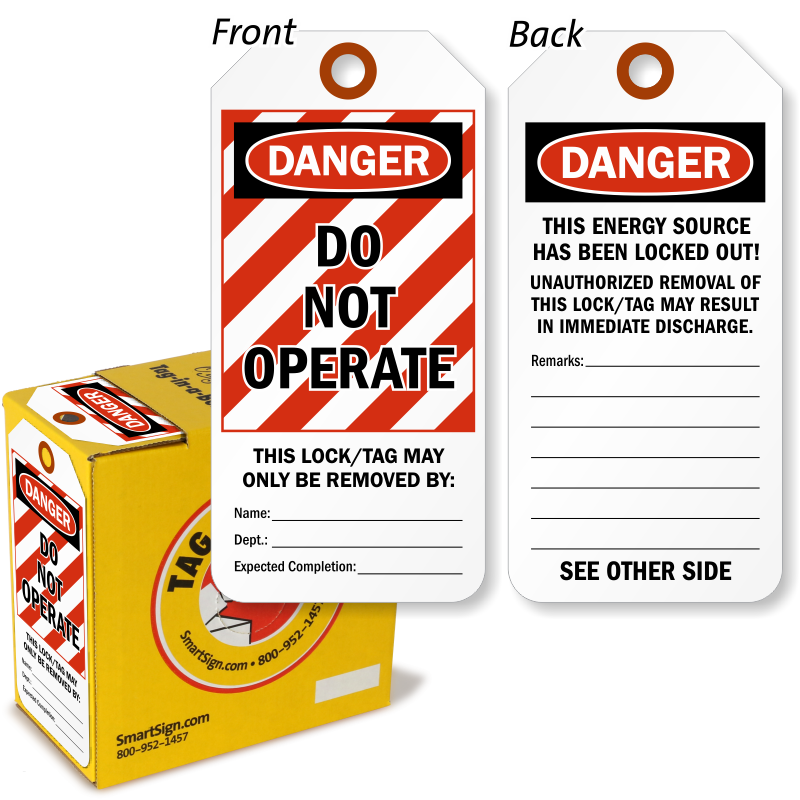 Your LOTO program begins and ends with a lockout tag. It should be durable, easy to complete and easy to understand. 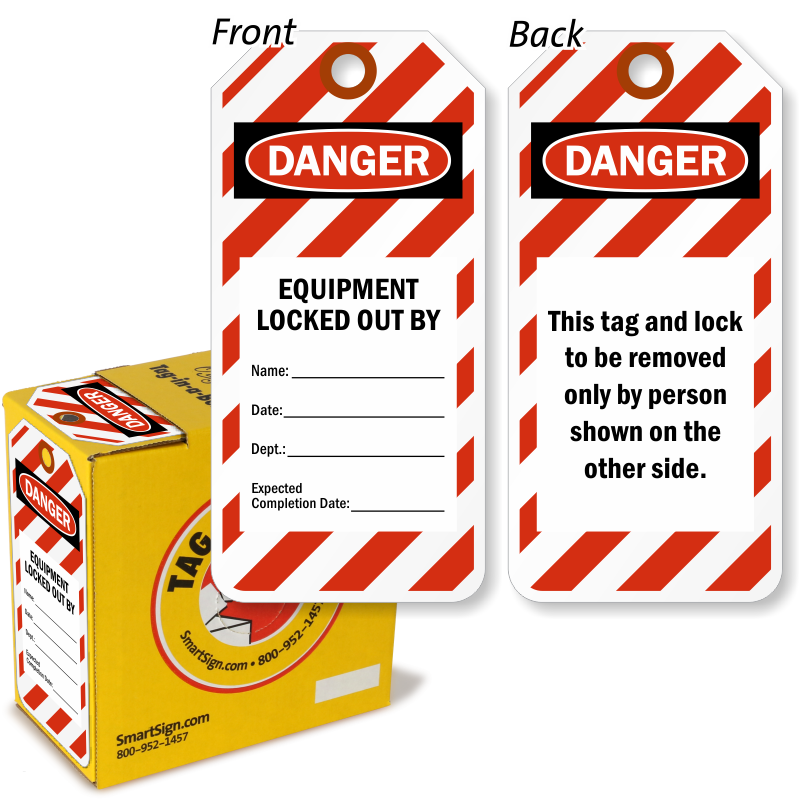 Lockout tags are our specialty – no other company has our range of designs, best-on-the-web pricing, material choices and easy customization. Guaranteed Best Prices. Just compare. 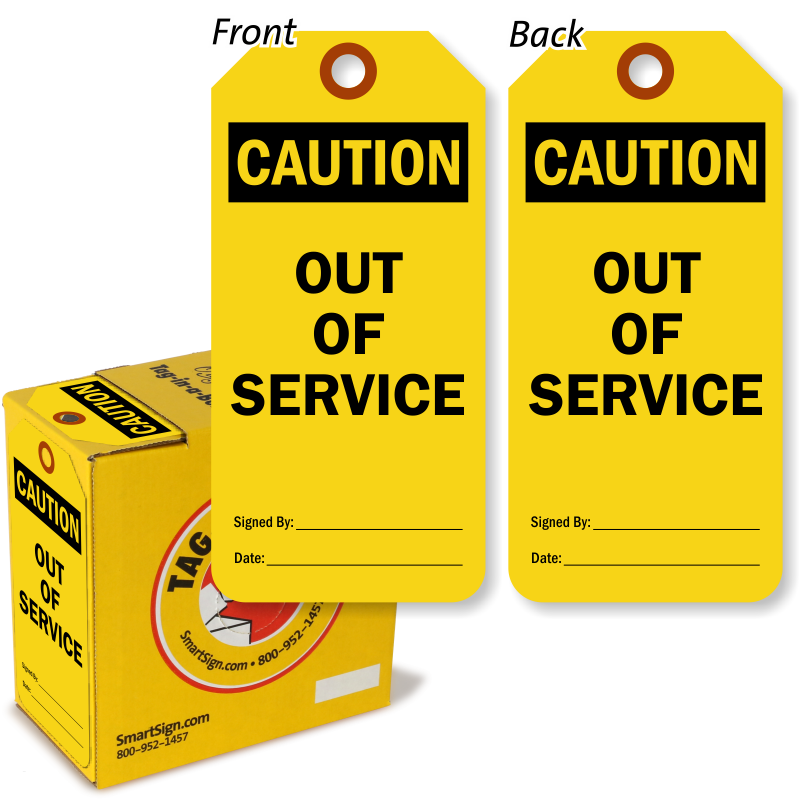 In most cases we save you over 50% on like-kind tags. Plus, we offer free shipping. Biggest Selection. 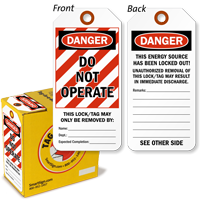 Find 100’s of designs – we’re the Amazon of Lockout Tags! Tough Tags. With countless advantages (for ex., a 2-part vs just a 1-part grommet), we’ve become the top choice for electricians and maintenance pros. 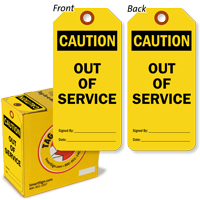 • A self-dispensing box contains a roll of tags that can be individually snapped off at perforations. 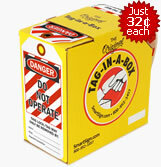 A box makes it easy to keep your tags handy and neat. Design online and download a free PDF. Print tags on any laser printer. Use your photo. Give detailed instructions. 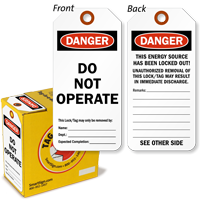 These lockout tags are available in 15 mil thick vinyl, laminated / reusable vinyl and self-laminating tag materials. 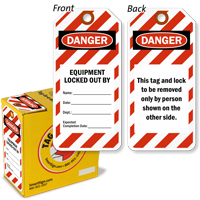 Only the best selling lockout tags are shown here. As low as 68¢ a tag! Choose the right design. Learn how to write a good "action oriented" headline and avoid "weasel words" that diminish the efficacy of your tag. Expect more from your tag and less from the annual viewing of the 20-minute training video. 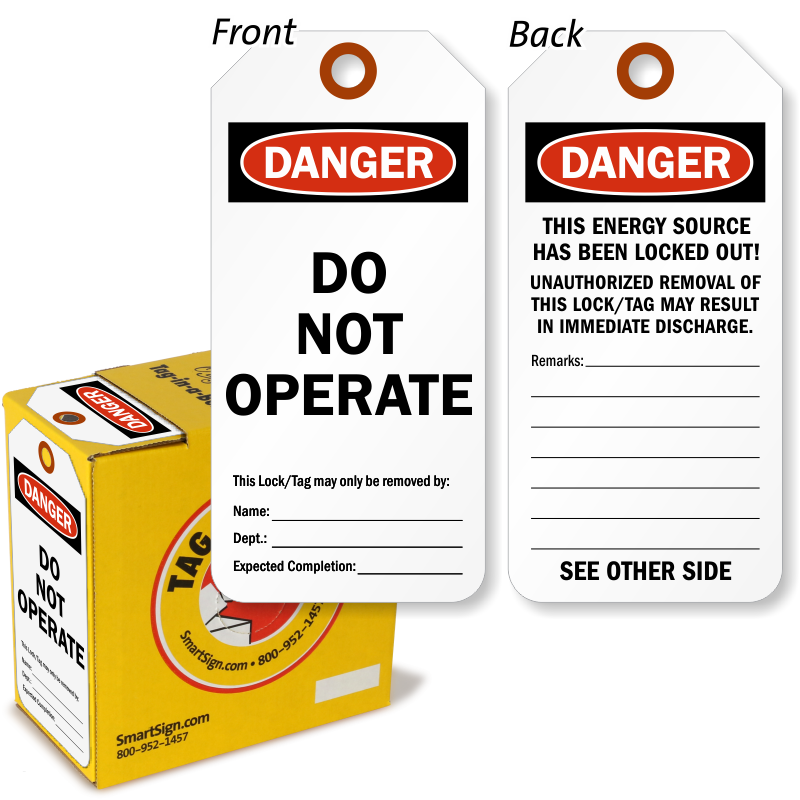 Experts show how to implement an effective LOTO procedure using bold tags. 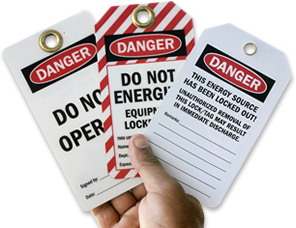 Professional lock out tag out quiz allows you to train and then certify your employees. Save $100's on each worker.